911uk.com - Porsche Forum : View topic - Porsche Leather Driver Airbag Fits various models. 911uk.com Forum Index > Porsche Car Parts For Sale & Wants > Porsche Leather Driver Airbag Fits various models. 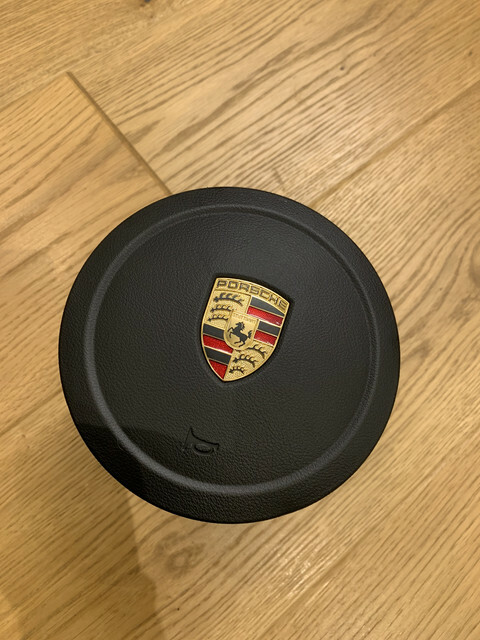 Posted: Sun Nov 25, 2018 11:58 pm Post subject: Porsche Leather Driver Airbag Fits various models. Condition: Almost New in Perfect Condition. Price: £400.00 shipped to the UK. Item can be collected in person from Birmimgham, London, Cardiff, Edinburgh. I sometimes travel for work. Apologies for my delayed response haven't been here for a while, that was eBays algorithm automatically reducing the price each week the item doesn't sell. I re-listed it on ebay for 400 GBP. Forgot to update the price on here. The ad says 'almost new', how old is it? 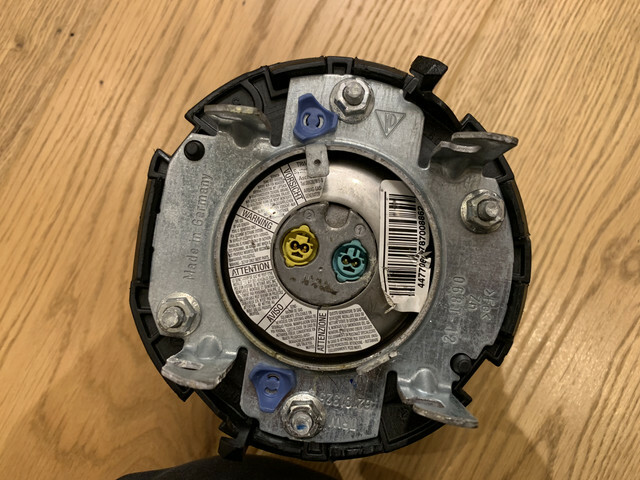 Posted: Tue Apr 02, 2019 8:43 pm Post subject: Re: Porsche Leather Driver Airbag Fits various models. 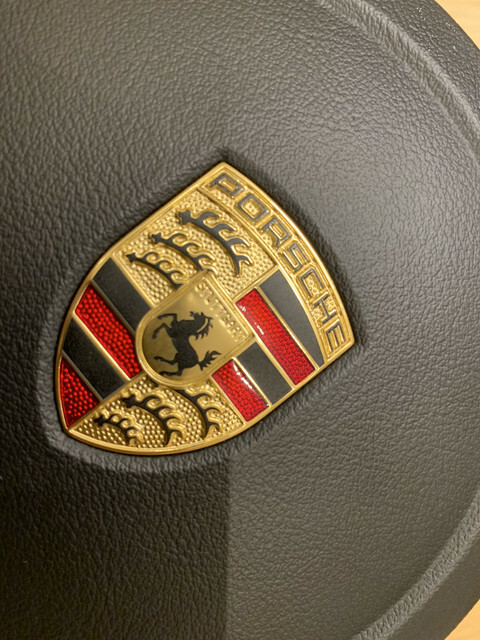 Posted: Wed Apr 03, 2019 10:38 am Post subject: Re: Porsche Leather Driver Airbag Fits various models. 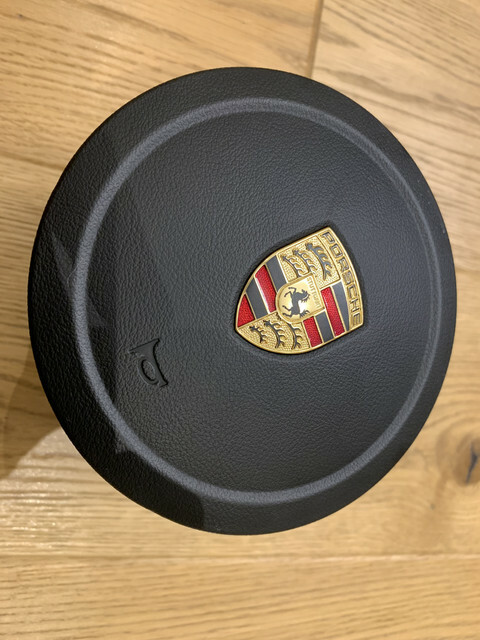 Posted: Wed Apr 03, 2019 7:11 pm Post subject: Re: Porsche Leather Driver Airbag Fits various models. Really?? 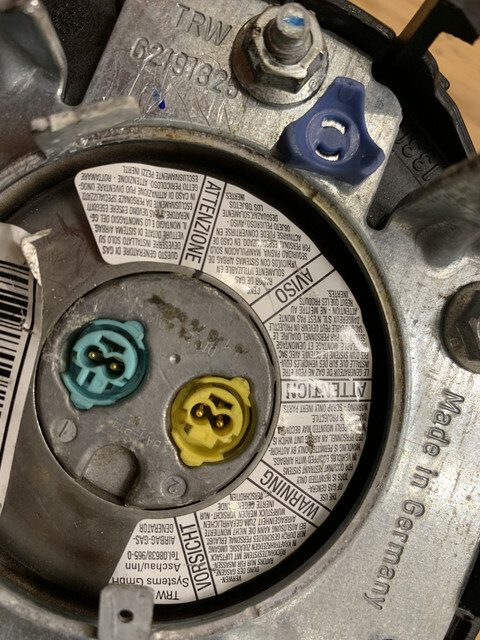 If it was brand new and boxed I would snap it up but from those pictures it doesn't look like an unused item, scratch marks next to the hex nut and a bit dirty and corroded! 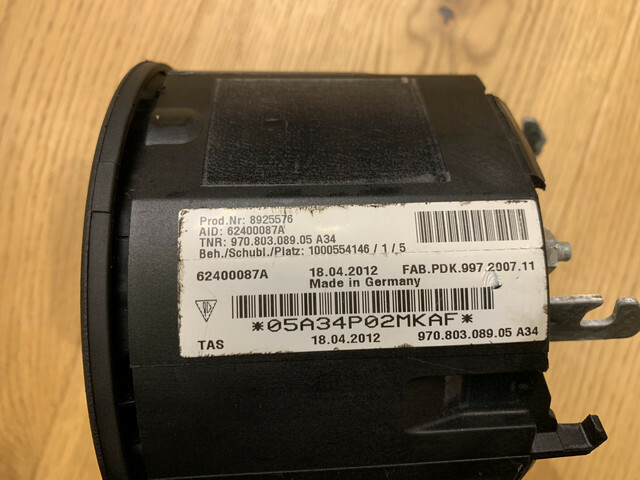 Posted: Wed Apr 03, 2019 9:30 pm Post subject: Re: Porsche Leather Driver Airbag Fits various models. I was joking in the sense i was fortunate enough not to have ever need to use it!!! Technically it's brand new I never used it just stored it inside my steering wheel for safe keeping anyway apologies for my terrible sense of humour. The item is in excellent condition but not brand new. That would be best sourced from Porsche directly. Anyone online will be selling a used item. I would describe it's cosmetic condition when fitted as almost new!! As the picture shows! In answer to your question about relisting it on eBay with a higher price yes it will let me list my item at any price I want to as I've stopped the automatic price reduction. £400 will cover eBay and PP fees happy to sell it for less on here! Welcome any reasonable offers.